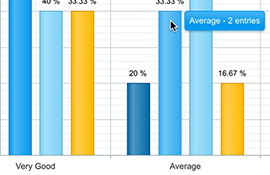 Multiple chart type supported. Pie, Bar, Donut, Line, and Area Chart. No complicated steps needed; just follow the widget wizard. 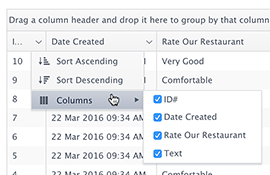 Easily share and embed your form data to any of your website pages. 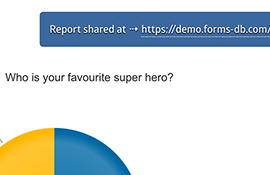 Easily share your report with the public. No login required. 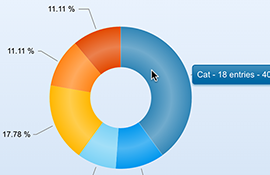 Hover on the chart to display labels. Click on the legend to show/hide sections. 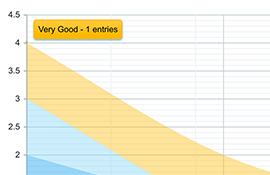 Embed your charts or grid to any website page. Multiple widget themes available. Easily blend with your website theme. All widgets work fine on computers or on mobile/touch devices.